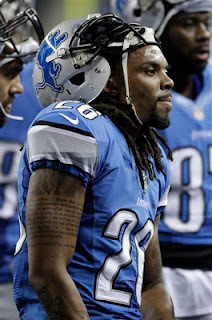 The Lions re-signed oft-injured safety Louis Delmas to a two-year deal in March. Here are five reasons why. 1. When he’s healthy, he makes a huge difference in the secondary. 2. He would not have been signed unless the Lions were confident his knee would eventually not be an issue. 3. His leadership is without question. Not only is he the leader of the secondary, Kyle Vanden Bosch said last year that he though Delmas was a great leader for the defense as a whole. 4. His motor is always running. His energy sparks those around him. 5. Coach Jim Schwartz said there is not player he has more confidence in than Delmas. Defensive coordinator Gunther Cunningham agrees. Mikel Leshoure has had some trouble staying healthy. The running back missed his rookie season after tearing his Achilles’ — certainly no fault of his own. He missed OTAs dealing with a lingering hamstring issue. 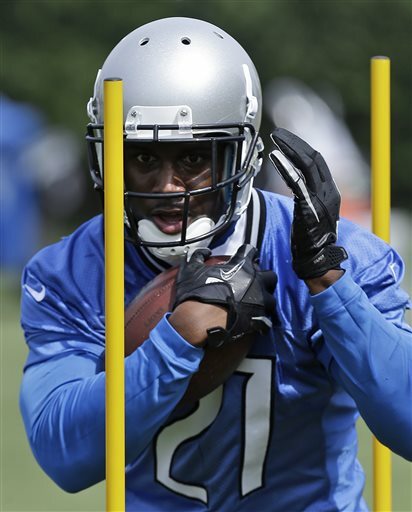 Here are three things the Lions must see from Leshoure in training camp and the preseason. 1. He’s got to stay healthy enough to practice and play in preseason games. Durability is key for a quality running back. 2. With the addition of Reggie Bush, the depth chart at running back has changed quite dramatically. Joique Bell had a good season last year and the Lions drafted Theo Riddick out of Notre Dame in the sixth round. They also signed undrafted rookie running back Steven Miller who has a shot to make the 53-man roster as a return specialist. 3. Leshoure has to continue to stay out of trouble after his two arrests last offseason. If he doesn’t, he could be cut unceremoniously (think Aaron Berry). 1. Ashlee Palmer (in photo) has started six games at linebacker in his career which gives him an edge over Travis Lewis and Tahir Whitehead. Palmer has been a force on special teams. 2. Travis Lewis, who was a seventh-round pick out of Oklahoma, last year saw time on special teams as a rookie. He led the Sooners in tackles in his first three seasons and was slowed down in his senior year with a broken bone in his left foot but still had 83 tackles, four tackles for loss and one sack. 3. Tahir Whitehead is much the same as Lewis — he saw mostly special team work last season where he displayed his speed and athletic ability. He was a fifth-round pick from Temple. 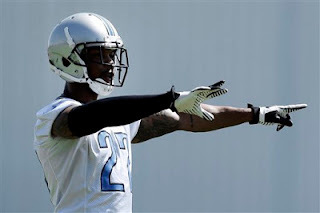 Reggie Bush captured most of the attention, but the Lions' signing of safety Glover Quin might prove to be the key free agent move. Five reasons Quin was a good acquisition. 1. He’s durable which has to be one of the reasons he was so attractive to the Lions who have struggled with so many defensive back injuries the last few years. Quin started every game for the Houston Texans the last three seasons. 2. He’s multidimensional — he played cornerback in college at New Mexico. He can play nickel, dime, deep and man to man. 3. A young veteran, he has leadership qualities which the Lions find attractive too. 4. Statistics don’t tell the whole story but his are good. Last season he had 14 pass defenses, two interceptions, two forced fumbles, a sack and 84 tackles. He has five interceptions in four NFL seasons. 5. 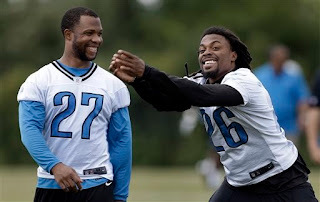 Quin filled a huge need to play on the field with Louis Delmas who has been the opposite of durable. That safety spot has been a revolving door for the past few seasons. Reggie Bush was one of the biggest free agent signings, along with safety Glover Quin and defensive end Jason Jones. 1. His experience will be a factor. He’s 28 and had his best two statistical seasons the last two years with the Miami Dolphins. 2. 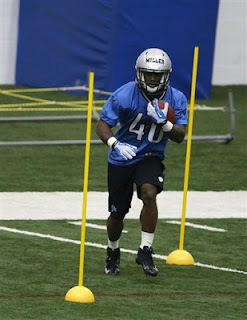 He can fill the role left open by Jahvid Best by catching the ball out of the backfield. He can also line up in the slot effectively. 3. Opposing defenses will have to find a balance between defending Calvin Johnson and Bush, which should create space for each of them. 4. Bush seems motivated. After two seasons with the Dolphins, he’s primed to help lead the Lions back to the playoffs. 5. Bush could have gone elsewhere, but he chose Detroit for a reason. It’s not about the glitz and glamour of Detroit, it’s about winning. No one knows for sure if Jim Schwartz is on or will be on the coaching hot seat this season. One thing is for certain he made some changes to his coaching staff in preparation for this season. 1. Jeremiah Washburn (in photo), who has been the assistant offensive line coach for four years, moves up to replace George Yarno who has left the organization. 2. Jim Washburn, Jeremiah’s dad, has been named a defensive consultant. The veteran NFL defensive coach will help out specifically on the defensive line where young and inexperienced are the key words. 3. Tim Lappano, who had coached tight ends, now is working with the wide receivers replacing Shawn Jefferson. 4. Curtis Modkins, who was with the Buffalo Bills the last three seasons, has been hired as the running backs coach. He developed Fred Jackson and C.J. Spiller so should be a good fit with the young running backs group. 5. John Bonamego has replaced Danny Crossman as special teams coordinator. Special teams had some issues last season due in part to personnel. Bonamego will work with mostly new players including kicker and punter. 6. Jeff Backus will return as a part-time coaching intern working with the offensive line. His experience will be a huge benefit to Riley Reiff, Jason Fox, Corey Hilliard, Larry Warford and the rest. Riley Reiff, a first-round pick in 2012, was never expected to play a major role last season. He was drafted to fill in for Jeff Backus when he retired. Now the left tackle position is Reiff’s. Here are five reasons he will have an impact this season. 1. Even though he started just once (the one game Backus missed in 12 seasons), Reiff did line up as a tight end throughout the season allowing him to get comfortable with the speed of the game. 2. 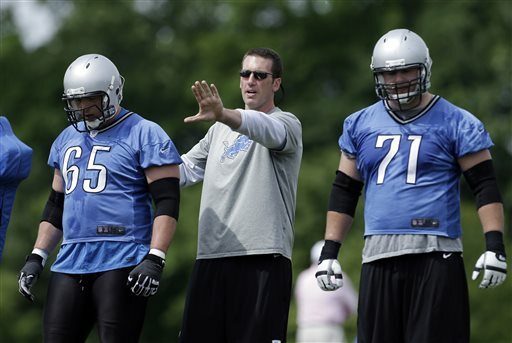 Reiff spent all last season learning from Backus who was a willing teacher. Might as well learn from the best. 3. Reiff will still be able to pick Backus’ brain this year because the retiree has returned as a part-time coaching intern. He’s been on the field assisting the coaches, giving pointers to guys one-on-one. 4. Reiff will line up next to veteran left guard Rob Sims which will help. 5. Overall, Reiff has to be more comfortable with the whole situation. He’s a guy who, like Backus, as born to play football. This year he will be set loose. With more turnover in all three phases than last season, training camp will feature good competition. Here are the top five competitive positions. 1. Right cornerback opposite Chris Houston. Darius Slay was drafted in the second round, but he’s not been 100 percent yet due to knee surgery. He should be ready to go by training camp where he will battle veteran Ron Bartell and three corners who were rookies last season — Bill Bentley, Jonte Green and Chris Greenwood. 2. Linebacker to replace Justin Durant who was not re-signed. Expect Ashlee Palmer to have the edge due to experience but he’ll have to fight off second-year linebackers Travis Lewis and Tahir Whitehead. 3. Right tackle will be a battle between Corey Hilliard and Jason Fox. Hilliard has five starts in his career which is five more than Fox who is finally healthy. 4. Right guard is a toss-up right now. Bill Nagy should be a favorite but still hasn’t recovered from ankle injury last season. Strong contenders include Larry Warford, Leroy Harris, Jake Scott, LaAdrian Waddle and Austin Holtz. 5. Plenty of wide receivers on the roster, but it’s wide open after Calvin Johnson, Nate Burleson and Ryan Broyles. If Patrick Edwards can stay healthy and has a training camp like last season he should nail down one of the spots. He was a standout at OTAs (organized team activities). While NFL teams must draft well to succeed, finding the hidden gems is a bonus too. Here are three undrafted rookies who have a chance to make the Lions’ 53-man roster. 1. Tight end Joe Fauria will tell you he’s an eighth-round pick out of UCLA. Since the draft is seven rounds, it’s his way of saying he’s undrafted. He claims he has a permanent chip on his shoulder and is working hard to prove he belongs in NFL. He’s one of five tight ends currently on roster along with Brandon Pettigrew, Tony Scheffler, rookie Michael Williams and Matt Veldman who was signed Monday. 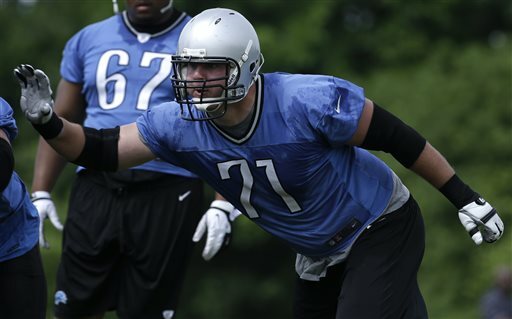 Nathan Overbay, who was on practice squad last year, was released last week. Dominique Curry was released to make room for Veldman. It’s an indication that Lions are happy so far with the 6-foot-7 Fauria. 2. Running back Steven Miller arrived via Appalachian State. The Lions first noticed him when they were scouting punter Sam Martin who they drafted in the fifth round. Miller is small — 5-foot-7, 172 pounds — but he’s speed and slippery. His best shot is by making the roster on special teams as a return specialist. 3. Offensive guard LaAdrian Waddle who played at Texas Tech. He’s 6-foot-6, 321 pound and has been solid through the OTAs. It’s highly unlikely he’ll earn the start at right guard, but he’s certainly got a shot at the 53-man or practice squad. Louis Delmas’ injured knee kept him out of OTAs and minicamp. Defensive coordinator Gunther Cunningham expressed confidence in Delmas’ return on Wednesday. Thursday it was the same from coach Jim Schwartz. The coach said the main thing is to get his knee right. 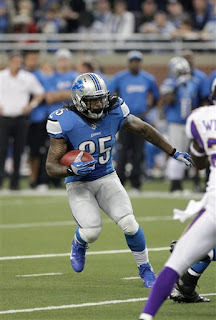 He expects Delmas at training camp and will schedule days off for him as preventive measure for his knee. Last August Delmas underwent knee surgery and a quick return was expected. He missed the first four games and played in only eight all season. He tested the free agent market in March before re-signing with the Lions for two years. ALLEN PARK -- While there is competition between Jason Fox and Corey Hilliard for the starting right tackle spot, left tackle belongs to Riley Reiff. Reiff was drafted in the first round in 2012 to eventually fill the shoes of Jeff Backus. He got one start in 2012 for the one game Backus missed in his dozen years playing for the Lions. Reiff also saw regular playing time lining up as a tight end. Hilliard and Fox have been alternating at right tackle with the starters through OTAs and minicamp. Here's a replay of today's live chat on the Lions. We discussed minicamp, rookies, Louis Delmas and much more. Check it out. Next live chat at 3 p.m. on Thursday, JULY 25. Happy summer! Matthew Stafford’s every move every Sunday in the fall is examined and then rehashed for weeks and months afterward. It’s part of the job description as the Detroit Lions quarterback or any NFL quarterback and he knows it. In 2012, even though he came up just shy of 5,000 passing yards the Lions lost eight straight to finish the season at 4-12. Not acceptable for Stafford or the team. His mechanics were scrutinized, even though he has made it clear again and again that he is not working on changing the way he passes the ball. He hears all of this. “It’s impossible not to hear it just because I watch SportsCenter like everybody else and I’m a person, too, but it’s not the main fuel. ... The main fuel for me is I want to keep progressing in the right direction,’’ Stafford said after the first day of the mandatory minicamp on Tuesday. “I want to be a great quarterback and I want to be able to help this team win, and the only way I’m going to be able to do that is if I let nothing get in my way and just concentrate on what I’m supposed to concentrate on and get better at what I need to get better at,’’ the 25-year-old quarterback added. He said he didn’t work harder this offseason — he works hard each offseason. It just happened that this offseason he stayed in town instead of working out elsewhere. Coach Jim Schwartz said Stafford has always been a hard worker. That has never been an issue. “You know, Stafford’s a very consistent guy in his approach to the game, the way he prepares for a week, the way he prepares in the offseason, training camp, those kinds of things,’’ Schwartz said. “There’s a confidence that goes with that. You know, Matt’s not happy with last year. None of us were happy with last year, but you also can’t overreact. “I think that’s a balance we’ve talked about going through this offseason in not getting away from what you do and who you are knowing that you just need to improve on finer things. We have a lot of confidence that he will and he’s a great leader in setting that example,’’ Schwartz added. 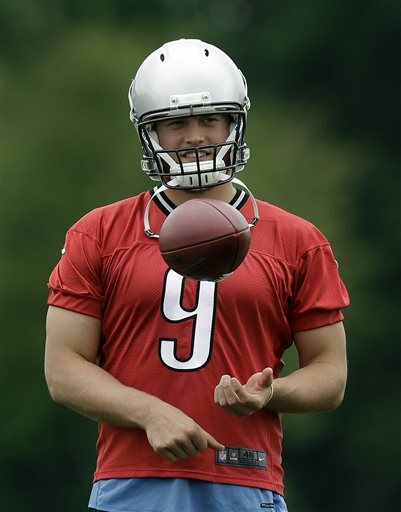 Even though minicamp is a watered-down training camp — no contact, no one-on-one drills — every player can get something out of it even Stafford who is entering his fifth season. Stafford’s agent and the Lions are working on a contract extension, as they have been since last season ended. That is not Stafford’s area of expertise. He said he’ll play football and let his agent handle that. 1. 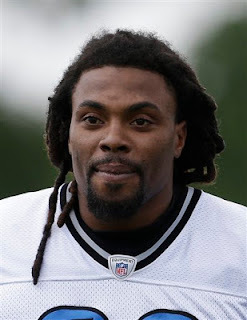 Safety Louis Delmas did not participate in OTAs the last three weeks because he is rehabbing his knee in south Florida. He’s in touch with the coaches and staff. OTAs were voluntary but this minicamp is mandatory. Seems like maybe we’ll see Delmas even if he’s just standing on the sidelines. 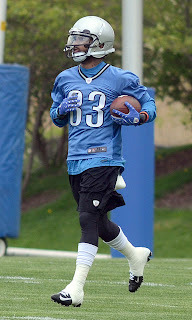 Seems like the Lions would not have re-signed him if they didn’t think he could be on the field and, as is their way, they haven’t given any Delmas updates. 2. The right guard position will be one of the most contested throughout training camp and the preseason. Bill Nagy, who the Lions signed last season after he was released by the Cowboys due to an injured ankle, was thought to be a front-runner but he is still coming back from that injury. 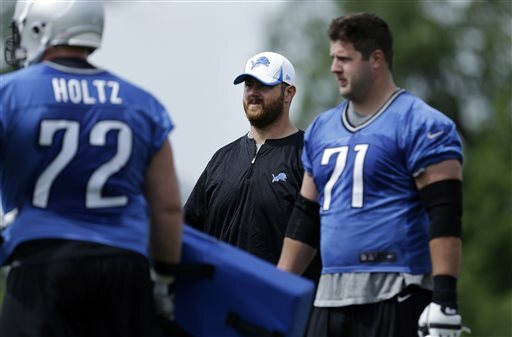 Rookie Larry Warford might not be ready to step in as a starter. That could be why two veteran guards — Jake Scott and Leroy Harris — were signed last week. We’ll see how Scott fits in this week. Harris is coming off knee surgery and isn’t ready to practice yet. Dylan Gandy has also been getting reps at the position which was left vacant when Stephen Peterman was not brought back. 3. Patrick Edwards has had a good offseason so far. Now he needs to keep it up. It’s time for other wide receivers to also get noticed. One thing for sure, Nate Burleson is up and running — it doesn’t appear he’s had any ill effects coming back from a broken leg. 4. Mikel Leshoure has not been 100 percent during the OTAs while dealing with a lingering hamstring injury. There’s real competition at running back this season, especially with the addition of Reggie Bush, so Leshoure needs to get back on the practice field. Last week he seemed certain he’d be fine for the start of training camp in late July, but not so sure about this week’s minicamp. 5. Not sure we’ll know who will be returning punts and kicks until we get a good look in preseason games, but still have to keep an eye on who they’re looking at during minicamp. It could be a way onto the 53-man roster for a guy like Steven MIller. 1. Wide receiver Patrick Edwards. He had a great start to training camp last summer and then trailed off. Injuries kept him from consistently being on the practice field. He’s healthy and so far it’s showing. 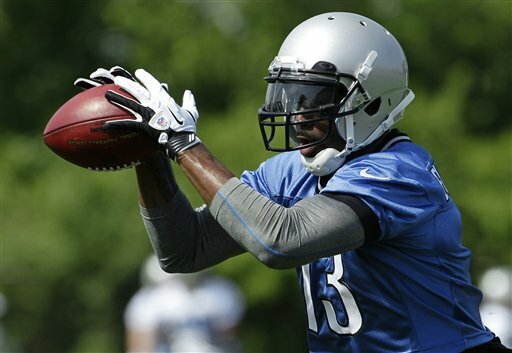 After Calvin Johnson, Nate Burleson and Ryan Broyles there’s definitely an opening at wide receiver. Burleson and Johnson praised him this week. 2. Cornerback Ron Bartell, a nine-year NFL veteran, has been making the most of his chances and he’s getting plenty. He was signed late last season due to so many injuries at the position. 3. Cornerback Jonte Green has flashed also and not just on the day that he hiked his shorts up so he looked like he was wearing hot pants. Of the three corners drafted in 2012 he got the most playing experience because he was able to stay healthy. Chris Houston said he was fining him $50 for the short shorts day. 4. Tight end Joe Fauria (undrafted out of UCLA) stands out because he’s 6-foot-7 and quite thin, but he’s making some plays too. He’s been impressive enough that Nathan Overbay, who was on practice squad last season, was released this week. 5. Running back Steven Miller buzzes around the field. Don’t know a better way to describe the moves of the diminutive (5-foot-7) running back/returner. Mikel Leshoure was back at work Tuesday after missing the first two weeks of OTAs (organized team activities) while letting his nagging hamstring heal. “It’s offseason, OTAs, it’s no time to be out here and rush things. I’m not saying I haven’t been trying to get back, that’s been the plan. We’ve been smarter this year. I feel good today. Today was a good day for me,’’ Leshoure said on Tuesday after limited participation. He hopes to be ready to roll next week for the mandatory three-day minicamp which starts on Tuesday and for training camp in late July. This will be a key training camp and preseason for Leshoure, a second-round pick in the 2011 draft — a draft class that has so far been disappointing. Leshoure missed his rookie season after tearing his Achilles’ early in training camp. There was nothing he could do about that. Those injuries routinely take at least a year to recover from. But while he was recovering he was charged twice with marijuana possession and suspended for the first two games in his second season. Then last season he dealt with a nagging hamstring injury which apparently still is not resolved. The Lions won’t wait on him forever. was signed this offseason. Joique Bell is back. The Lions drafted running back Theo Riddick out of Notre Dame. And undrafted running back Steven Miller is just itching to prove that he belongs either as a returner or running back or both. Veteran running back Owen Mills was signed last week mostly as a special teams player. Shaun Chapas, who was on the practice squad last year, is listed on the roster as a fullback and works with the running backs. Leshoure has a bunch of guys chasing him. He needs to stay healthy. While OTAs (organized team activities) are not mandatory it's probably a good idea to be there if you want to make an impact on the team and show you are ready to play in the NFL. 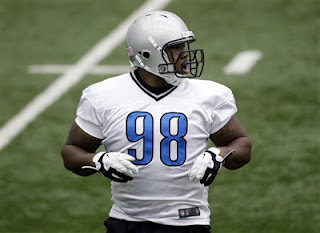 Defensive tackle Nick Fairley, along with Louis Delmas, were the only Detroit Lions absent on Tuesday. Participation has been nearly 100 percent minus Delmas who is rehabbing near his home in Miami. That made Fairley’s absence more noticeable. “It’s voluntary. He chose not to be here and it’s voluntary,’’ Schwartz said. The coach was pressed for details and wouldn’t budge altough he indicated that the absence was not injury related. Fairley is entering his third season with the team. He showed flashes last season, but his consistency has been an issue. The first-round pick in 2011 had legal trouble in the offseason a year ago. Probably the best way to make it up to the coaches would be to be on the field at practice. Schwartz has addressed Delmas' absence, saying he's keeping in touch with the team while rehabbing. Five things Lions fans have to look forward to this week. 1. After Friday, fans will no longer have to see references to OTAs. The 10 organized team activities wrap up on Friday. It’s a valuable time for any NFL team to get new players acquainted with old. But it’s not really a good time to evaluate players (unless they really stink) because there is no contact allowed. Also, no one-on-one drills with defensive backs going against receivers are allowed. Often those are the highlight of training camp. 2. Mandatory minicamp is next week so we’ll get a better idea of just what talent this team possesses and where some of them will line up at least to start training camp. 3. Saturday is the big charity celebrity softball game with captains Nate Burleson and Stephen Tulloch as captains. It starts at 2 p.m. with a homerun derby at King Boring Field in Dearborn (corner of Greenfield and Michigan Avenue). Admission is $10 with kids under 5 free. It will benefit the Stephen Tulloch and Nate Burleson foundations. 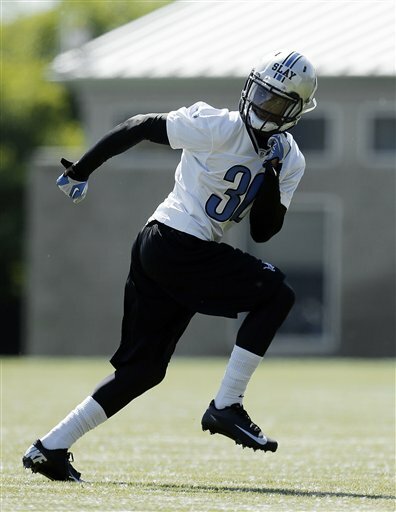 Calvin Johnson, Louis Delmas and Jahvid Best are set to participate, along with former Lions and Pistons. 4. My live chat on the Lions is set for 3 p.m. on Thursday. Check my blog at OPLions.blogspot.com for the link. Had a great discussion going last Thursday. Bring your questions or just read along. 5. This would be the perfect time for Father’s Day (June 16) shopping. May I suggest my book, “100 Things Lions Fans Should Know & Do Before They Die’’ It’s also available at bookstores or on Amazon.